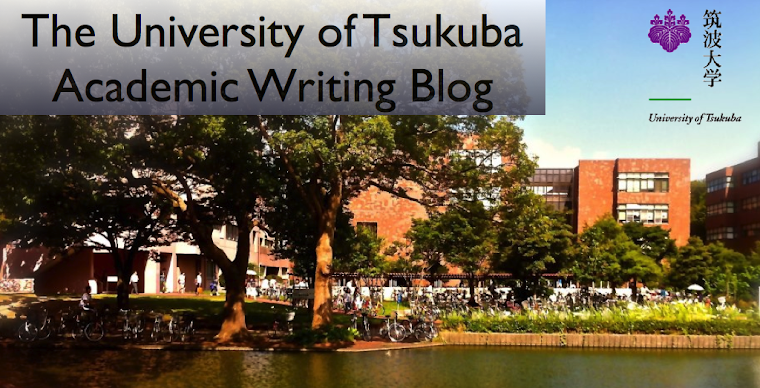 The University of Tsukuba Academic Writing Blog: The reasons why I chose the University of Tsukuba by Chiaki K.
The reasons why I chose the University of Tsukuba by Chiaki K.
There are four reasons why I decided to come to the University of Tsukuba. First, Tsukuba City is near my home town, Iwaki City. I like my home and my home town, so I thought that my university should be near, so I could go back easily. Secondly, the University of Tsukuba is a national university. School expenses of a national university are cheaper than that of private universities, so the burden to my parents is lighter. I think that lightening the burden to my parents is a filial duty. Thirdly, the University of Tsukuba is a big university. This university is a good place for studying because it has good facilities for study. Especially the very big university library is the best facility for me because I will major in literature. Finally, I thought that I can study widely at the College of Comparative Culture of the University of Tsukuba. I want to study about myth and literature with myth for their motif, especially Western classics because I like a mythical motif. In addition, I am interested in Western arts with mythical motifs and European Folklore. When I looked at the web site of the College of Comparative Culture, I thought that I could study all that I wanted to at this college, so I was attracted to it. For these four reasons, I chose the University of Tsukuba to study.